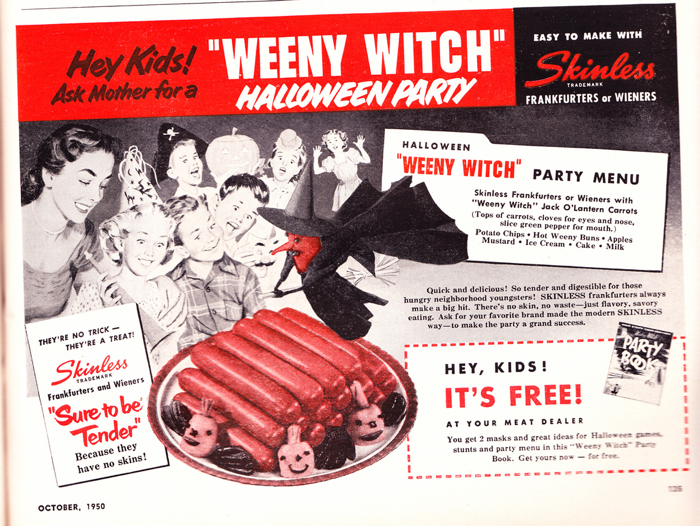 From the 1940s to the 1970s, the makers of "Skinless" wieners tried hard, through relentless advertising, to establish "Weeny Witch" parties as a Halloween tradition. 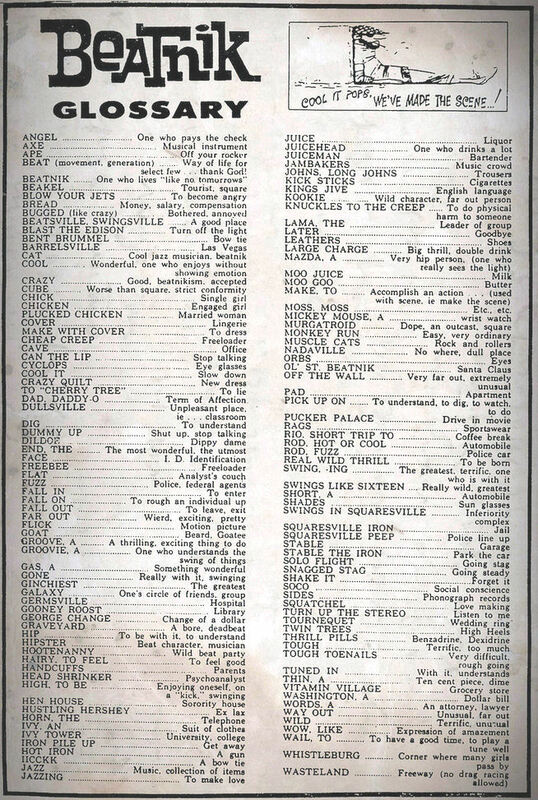 Basically, these were parties that completely centered around hot dogs. 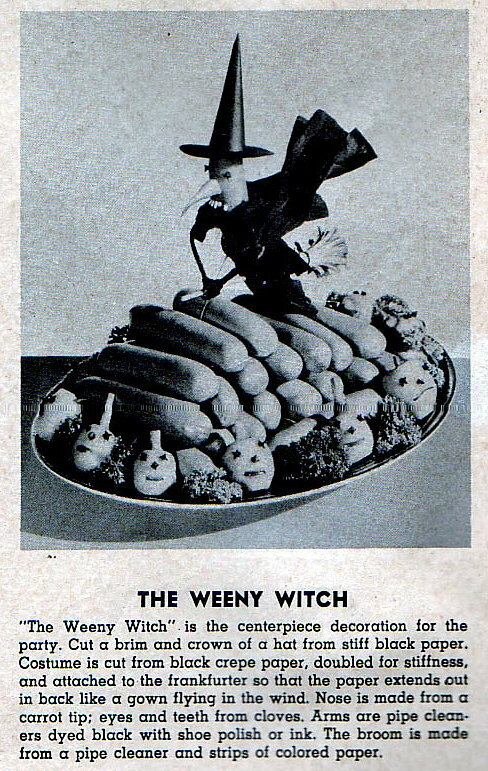 A "Weeny Witch" (a hot dog dressed up as a witch) would serve as a table centerpiece. 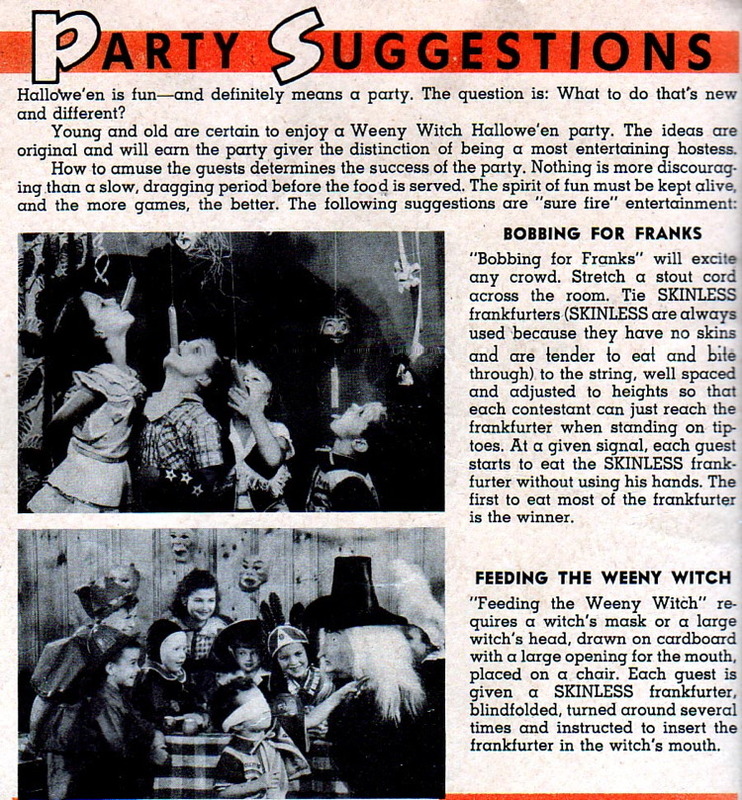 To make the Weeny Witch party more festive the company distributed a pamphlet with party suggestions, which included "Bobbing for Franks" as well as "Feeding the Weeny Witch." 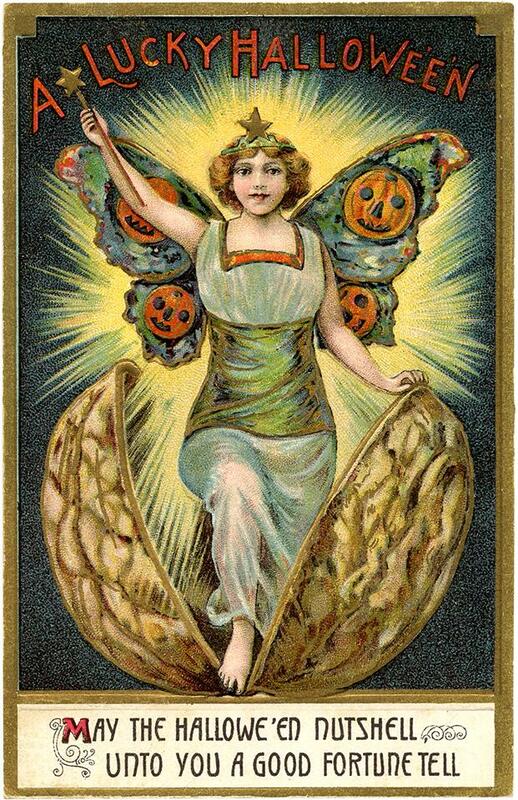 The latter involved creating a cardboard cutout of a witch's head. Blindfolded kids would then try to stick their weeny in the witch's mouth. 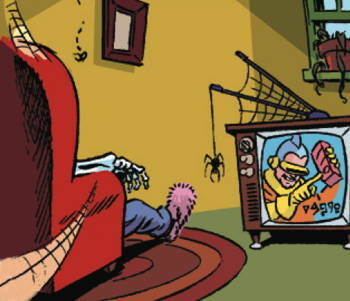 Thanks This Week to Michael Brozyna and to the News of the Weird Board of Editorial Advisors. Brent Fraser hopes that he is now the official record holder for this achievement after mouth-catching a grape dropped from a balloon 101-feet high. He's submitted all the necessary documentation to Guinness and is awaiting their decision. He began dreaming of claiming this record after realizing that he had a "natural knack" for catching things with his mouth. He practiced by having grapes slingshot at high speed at his face. More info at Valley News. It reminds me of the old fad for catching a baseball dropped from the greatest height. That didn't end well. Here's an ad campaign over the course of a decade or so that shows the Mad Men flailing around blindly. Whom do we appeal to? Kings, Indian Chiefs, housewives, nursery-rhyme characters, despotic sea captains, or cartoon animals? Or, in the end, the anti-hippie conservatives embodied by Andy Griffith and his fancy-neckwear disparagement? A mid-1980s alternative to Compuserve. It was actually an interactive exhibit at the I.Q. Zoo, the famous animal training facility and tourist attraction in Hot Springs, Arkansas. Founded in 1955 by Marian and Keller Breland (students of the psychologist B.F. Skinner), it stayed open until 1990. Developed in the 1980s, when smaller computers were becoming popular, Compu-Chick "appeared" to answer questions typed by the visitor. A small keyboard in front of the chicken, containing small lights that were invisible to the visitor, "cued" the chicken as to which letters on the keyboard to type. I'm not sure, but maybe Google's "PigeonRank" technology, which the company revealed on April 1, 2002 to be the secret behind their search results, could have been inspired by Compu-Chick. Weird noises from your guitar. 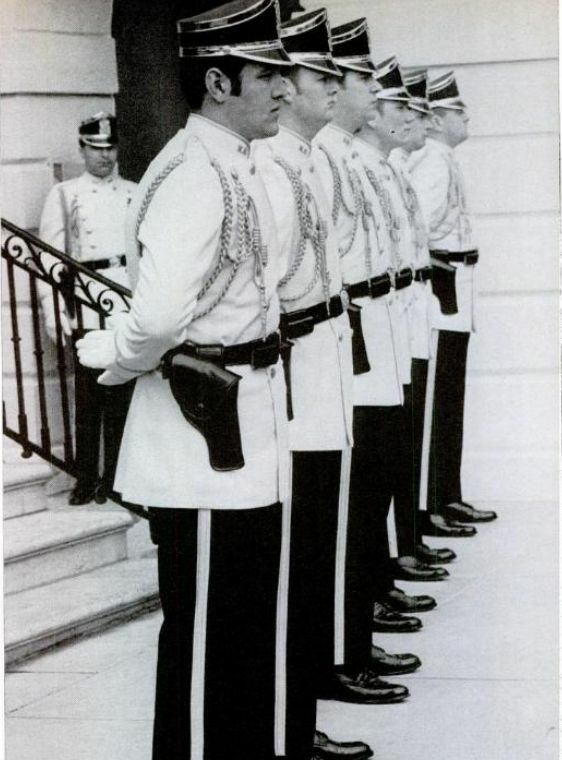 January 1970: The White House guard (secret service uniformed division) publicly revealed their new uniforms which featured a white, double-breasted tunic with gold shoulder trim and a stiff shako hat with peaked front. They replaced the black uniforms the guards had previously worn on ceremonial occasions. 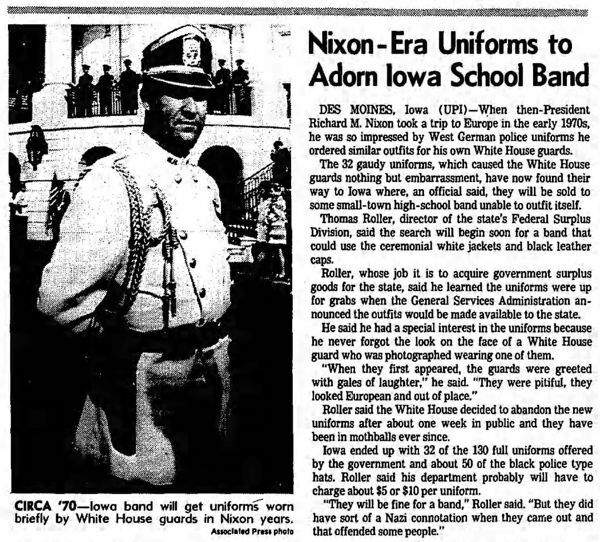 President Nixon had ordered that a new uniform be designed after he had seen what palace guards wore in other countries and had decided that the White House needed something as fancy. "they look like extras from a Lithuanian movie"
"like a palace guard of toy soldiers"
"will they be goose-stepping, or what?" "falls somewhere between early high school band and late palace guard." "They look like old-time movie ushers." 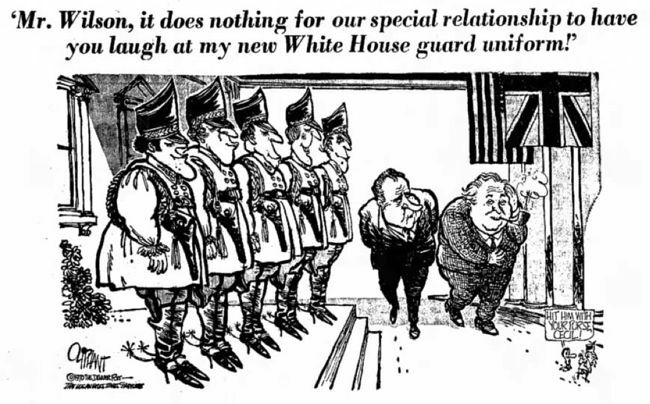 Chicago Tribune columnist Walter Trohan complained they were a "frank borrowing from decadent European monarchies, which is abhorrent to this country’s democratic tradition." The guards themselves complained that they felt too theatrical and that the hats were uncomfortable. So within a month the hats had disappeared. The white jackets lasted longer, but eventually they too were mothballed. However, the uniforms weren't thrown out. They sat in storage for a decade, and in 1980 they were sold to the Meriden-Cleghorn High School Marching Band in Iowa.